The PENDVR-ELE32-X is the latest release of our popular five technology Pentabrid DVR! Since this works with various recording formats, you’ll have the opportunity to try different types to determine what works best for you. 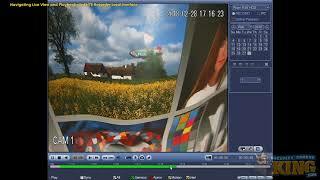 This 32 channel DVR is capable of recording HD-TVI, HD-CVI, AHD and up to 8MP IP cameras. While this recorder is capable of working with higher resolution cameras, they will not record in their true resolution. When recording you can do so in 5M-N at 10fps, 4M-N/1080P at 15fps, and 1080N, 1MP, 960H at 30fps. This unit actually records those higher resolution 4MP and 5MP cameras in a lite or stretched format so the highest recording resolution will be 1080P. 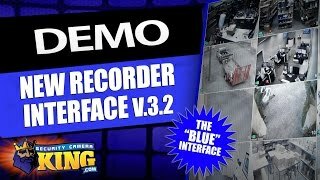 This recorder is a great option when you are trying to work around a previous installation. Existing, good quality wiring can save you a ton of money so having a recorder and cameras that work with TVI, CVI, AHD or Analog might be important to you. One of the best things about TVI, CVI, AHD and Analog is that they use coaxial cable and a standard 12v DC power supply. You can have a total of 32 cameras using a mix of coax technology cameras (HD-CVI, HD-TVI, AHD or Analog) and IP cameras or you can use it for a total of 32 channels of IP. If you choose to use IP cameras, you’ll need to use Cat5/6 network cable. 32 high resolution cameras will create a lot of data but thanks to the H.265+ video compression codec, bit rate and storage requirements will be reduced by 90%. Even so, depending on your camera’s settings, you’ll still need to have plenty of storage space and that’s no problem with room for up to 8 SATA drives up to 8TB each. Additionally there is a port for an eSATA drive for external storage and if you ever need to back up some of your footage, you can plug a flash drive into one of the four USB ports and save it or share it as needed. Make sure you add your hard drives to your shopping cart above and we’ll install, configure and test them for you before we ship your recorder to you! With a quality processor and a stable LINUX O/S, your DVR is capable of working hard and requires very little maintenance. 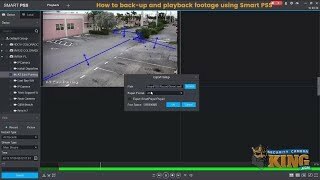 Connecting your cameras, recorder and network is simple and so is viewing it and configuring your settings. Connect to a monitor using HDMI, VGA and TV and once you have completed the setup, you can leave this connected or you can disconnect and view your cameras from anywhere that you have an internet connection on a PC, MAC or smart device. You can also connect to HDMI2 and use that for a secondary monitor to privately monitor higher security areas. 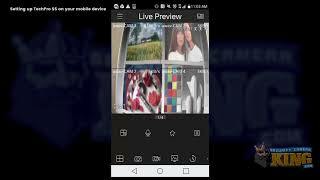 Using some of the latest tools, known as IVS (Intelligent Video System), you can easily set your DVR to notify you or set off an alarm when certain activities occur. Missing or abandoned objects, tripwire analytics and many other features are available that help the machine work more efficiently for you. 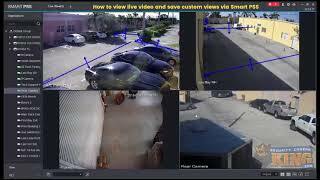 With 16 alarm inputs and 6 outputs, you can connect lights, alarms, sirens and other products that help make this a complete security surveillance system. We stand behind this DVR with a 3 year warranty, FREE US based tech support as well as FREE remote monitoring apps!